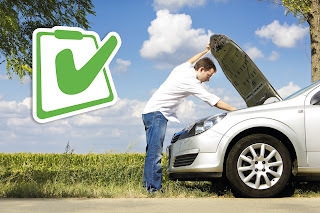 Good Garage Scheme Car Servicing in Great Britain : Is your car ready for Holiday Season? Spring has officially sprung and the holiday season is just around the corner. Whether you are planning a getaway for Easter, hoping to take advantage of the Bank Holiday weekends or have booked your May half term break, don’t forget to get your car checked before you go. From 1st April our Holiday Check will be available at participating Good Garage Scheme garages. This seasonal check will ensure your car is in good working condition ready for the holiday season ahead. Participating garages will check that your tyres, wheels and suspension have not become damaged by harsh winter driving conditions. They will also ensure that engine oil and coolant levels are adequately topped up and check that the air conditioning, lights and power steering are operating efficiently, so you can drive safely and comfortably. To find a local garage taking part in the Holiday Check programme, please visit our website (please add a link to the holiday check page) and enter your postcode in the box provided. In a recent survey by Hatchbag, it was revealed that 46% of people are planning to enjoy a staycation this year. If you’re holidaying at home, chances are you may be towing a caravan, trailer or perhaps installing a roofbox to carry your essentials. All of these can put an extra strain on your vehicle, so checking everything in is good working order now will give you peace of mind ahead of your getaway. For a full list of everything that is covered in the Holiday Check or to find out more about the garages in your area offering this service please visit our website.